For any brand trying to reach out to the millennial demographic, Instagram is the platform to concentrate brand building efforts. Growing a meaningful Instagram following is not exactly as easy as this demographics’ attention span is short. There is also too much competition for attention with over 75 million images shared daily. How can a brand grow a sizeable following on Instagram? Instagrammers love good content which is mostly HD pictures and videos. Any serious brand must have a professional photographer to come up with quality visual content. You must know the kind of content that works best. Celebrity types pull in tons of traffic with beautiful pictures of outfits, food, pets and landscapes. If you are promoting a small business, content that would work well includes beautiful pictures of staff at work, actual customers using your products, and industry related quotes. Investing a little money in coming up with quality content will prove worthy when your content goes viral. Hashtags pull attention to your content in people following the hashtag. The recommended hashtags per post are ten. They are best placed after your content comments. There are a number of apps that will show you the most relevant hashtags for your content, for example, website. This is perhaps the most surefire way of getting a massive growth in a short time. You talk to someone who already has a massive following to endorse your brand. Big influencers like Kim Kardashian commanding millions of followers can make a brand globally visible with one or two recommendations. A complete profile says you have taken time to build a brand rep for your business. The profile should have an attractive high-quality picture. Place your website on your bio link. Your website should have a link to your Instagram. Many web templates come ready with social media sites that include Instagram. Engaging fellow Instagram users is a good way of earning trust, familiarity and finally a following. A good number of Instagrammers will like for like. Follow the trending hashtags, like and comment content by the people following the hashtags. You get noticed. People always want to have a say in something that is people are talking about. You can provoke reactions by a simple comparison question. Questions such as ‘Which is better?’, or ‘what would be your choice?’ will always provoke people into a response. Avoid questions that touch on religion and controversial issues. Instagram has a wide choice of picture editing tools. The simplest to use is Layout which allows you to play around with photo collages. Explore different filters and note the ones that see the greatest engagement. Manual liking, following and unfollowing can be a bit tedious. A good bot can follow a relevant hashtag, liking all the posts on it. A good bot will do these tasks while avoiding having your account labeled as spammy. You engage a social media agency to grow your account by buying genuine Instagram followers. The amount depends on the number of followers. This is the most dependable way of growing a massive following fast. 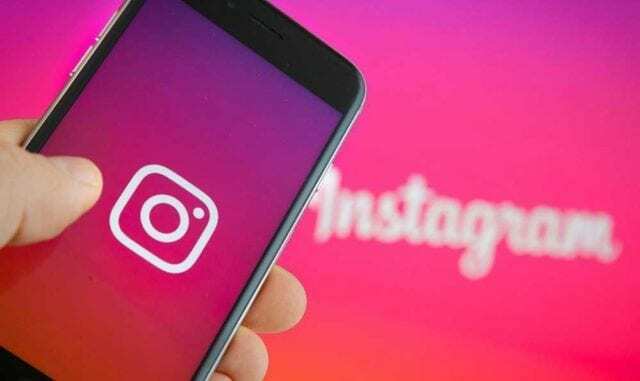 Growing your Instagram following enhances your brand visibility and trust, adding more impact to your marketing efforts which raises your sales and revenues. Previous articleWhat is an MX Backup Email Service?